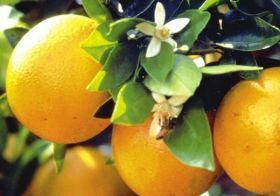 In the December forecast for the 2018/19 season, the National Agriculture Statistics Service (NASS) of the US Department of Agriculture (USDA) has predicted steady production in both the Florida orange and grapefruit crops. The report projects 77m boxes of Florida oranges and 6.4m boxes of Florida grapefruit. “We are very pleased with a stable forecast at this time of year,” said Shannon Shepp, executive director of the Florida Department of Citrus. The numbers remain an increase from the previous season, which was devastated by Hurricane Irma, when production dropped to 44.95m boxes of oranges and 3.88m boxes of grapefruit.